From Bessie Smith and The Supremes to Joan Baez, Madonna, Beyonce, Amy Winehouse, Dolly Parton, Sleater-Kinney, Taylor Swift, and scores more, women have played an essential and undeniable role in the evolution of popular music including blues, rock and roll, country, folk, glam rock, punk, and hip hop. Today, in a world traditionally dominated by male artists, women have a stronger influence on popular music than ever before. Yet, not since the late nineteen-nineties has there been a major work that acknowledges and pays tribute to the female artists who have contributed to, defined, and continue to make inroads in music. 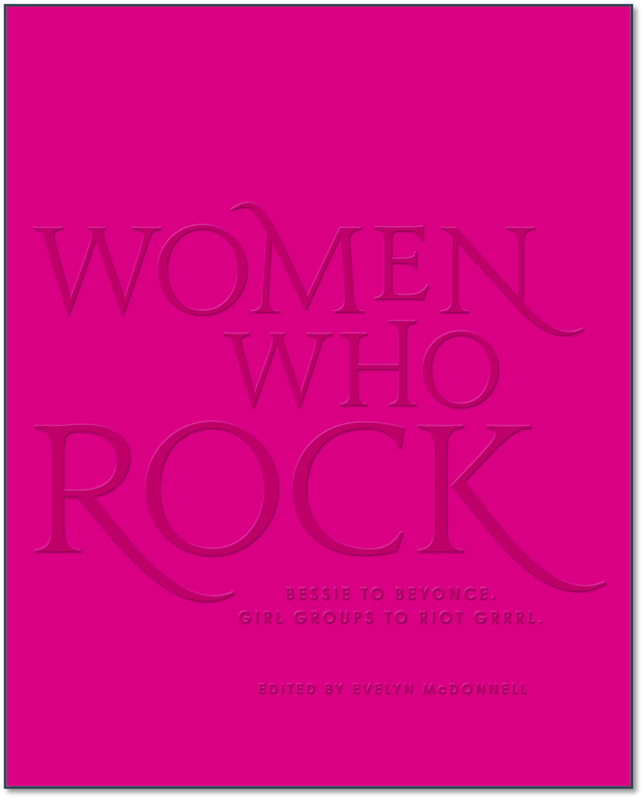 In Women Who Rock, writer and professor of journalism Evelyn McDonnell leads a team of women rock writers and pundits in an all-out celebration of 103 of the greatest female musicians. Organized chronologically, the book profiles each artist and places her in the context of both her genre and the musical world at large. Sidebars throughout recall key moments that shaped both the trajectory of music and how those moments influenced or were influenced by women artists. With full-color illustrated portraits by women artists, Women Who Rock will be THE long-awaited gift book for every music fan, feminist, and female rocker, young and old musicians. For press information, contact Kara.Thornton@hbgusa.com. Women Who Rock goes on sale October 9, 2018, but you can preorder it through the various online retailers below.